The movie ended up as a massive hit, and the Bollywood audience has been left in surprise as the concept has never been touched so far. He then came up with Paa, which too had Amitabh Bachchan in the lead role. The movie also has been well praised by the audience across the world. Talented actor Arjun Kapoor has done many innovative films in his career, and his performance has been widely praised all over. His performance in the movies Gunday and 2 States received wide applause, and he has been quite careful about his career after back to back debacles. Arjun Kapoor and Kareena Kapoor Khan played the lead roles in the movie which has been titled as Ki and Ka. R Balki took his time with his film to pen the script which is about two people who are opposite in life. Kareena Kapoor will be seen as Kia in the movie who works in a corporate company. Arjun Kapoor played Kabir in the film, and he will be seen as a homemaker in the film. Ilayaraja composed the music, and the audio of the film received a wide response from the music lovers. 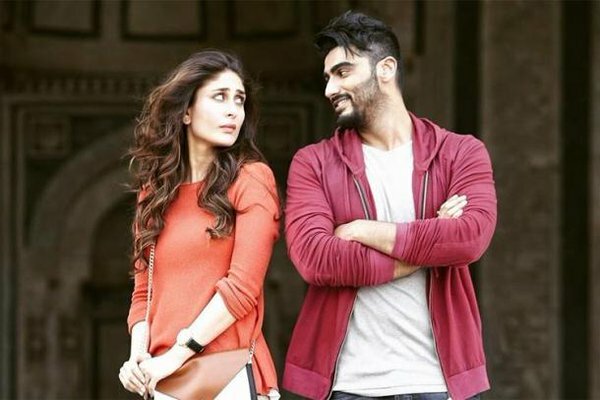 Ki and Ka collections received a mixed response from the audience all over because of the second half of the film. The movie collected Rs 7.2 crores on its first day, and the film witnessed decent growth on its second day. Though the word of mouth has been negative, the movie collected Rs 8.4 crores on its second day. The third-day collections have been even stronger, and the film made Rs 24.45 crores in its first weekend all over. R Balki produced the movie on Hope Productions banner. Eros International released the flick all over the world. The film has been made on a budget of Rs 25 crores, and the talkie is expected to mint decent money in its final run. Stay tuned to The Reporter Times for latest Bollywood news and TV updates. Don’t forget to share. Subscribe for daily newsletter update.